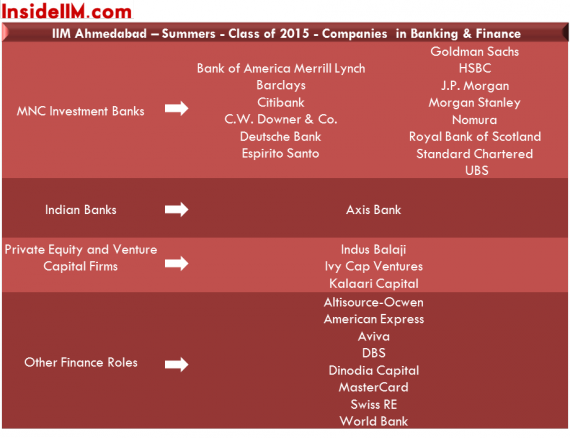 You must have followed IIM Ahmedabad summer placements on InsideIIM.com for the last 10 days here. All students of PGP and PGP-ABM were placed by Cluster 3 on 16th November 2013. As is the case most of the times, IIM A’s performance reinforces its position at the top. IIM A students were clearly in favour and the per company recruitment figure is quite high. This report is only for the PGP programme. Please note that this is the first time we are bringing you a detailed placement report of IIM A. Unfortunately, the report is not verified. 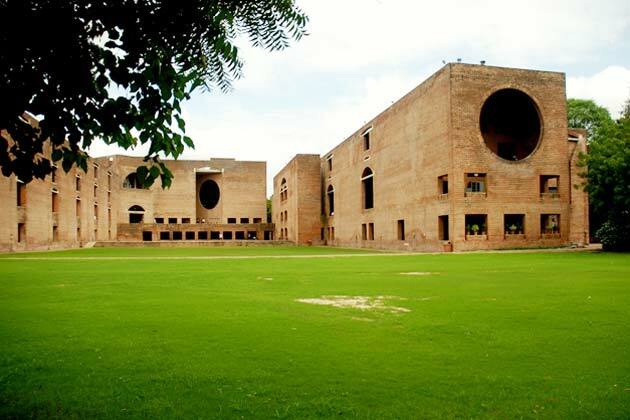 IIM Ahmedabad maintains that they will only share and verify the CRISIL audited report in the IPRS format. Team InsideIIM has been pushing them to include profile wise information in the report. The dialogue hasn’t ended yet. We have come up with an unverified report which mentions names of about 90 of the 110 recruiters that visited IIM A. IIM A refused to disclose names of all 110 citing Non-Disclosure agreements with firms. We really hope that IIM A decides to share the report with a company wise profile split in the future similar to the InsideIIM format. We must mention though that the recruitment process has been carried out extremely transparently and not only the media but even recruiters we have spoken to have said that they are very impressed with the process at IIM A as compared to other top schools in India. One of the top recruiters we spoke to lauded IIM A for putting the interest of students and their career preferences first and not worrying about completing 100% placements. The line-up tells you about the power of brand IIM Ahmedabad! The problem in the above data is that we do not know if the MNC banks only offered Investment Banking/Markets roles or did they also recruit for Corporate Banking, Transaction Banking, Risk etc. While it can be safely assumed that most of the roles are front-end, clarity on it would make the IIM A report very rich. A very impressive line-up in Consulting, probably the best in the country for Consulting but it would have been so much better if we had more information about the various practices. For e.g. we know that Hay group specializes in HR consulting but what about roles in IT Consulting, Business Process Consulting, Operations Consulting? Or are all the other roles in the realm of Management Consulting only? Some clarity would have been better. 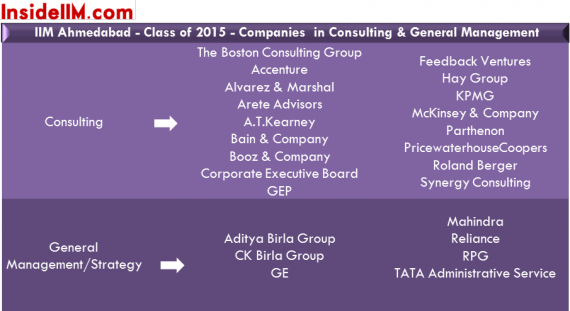 All Top FMCG companies recruit from IIM A as expected. Interestingly, there is no mention of P&G which has been ranked as one of the dream companies and a top company within FMCG in our recruiter rankings. As a trend we have observed that Banking and Consulting take away a huge chunk of the top candidates and a lot of FMCG companies give the top campuses like IIM ABC a miss. 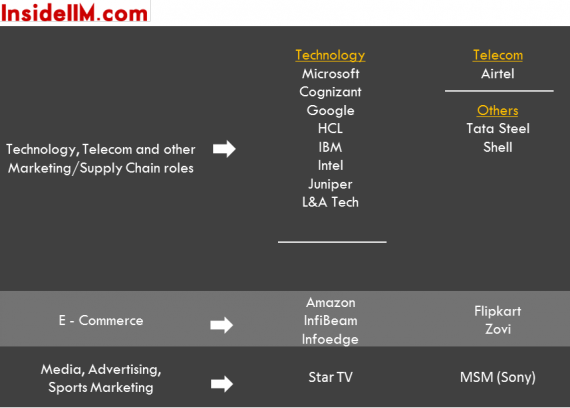 In the data here we have no idea whether all roles were in the Sales & Marketing domain or were there roles in Supply chain, IT, Corporate Finance etc. The press release from IIM A also does not throw any light on it. The IPRS format as of last year also does not have any provision to talk about it. One of the interesting data points that IIM A has released in its report is the Top Recruiters in each sector and the number of students they have recruited. That’s about 68 students recruited by just 7 firms. The IIM Ahmedabad press release says, “A few students chose to intern with start-up firms that participated in the ‘Entre Fair’ organized on campus on October 12, 2013.” However, we do not know which firms hired and how many students. Probably we will get more insight once the IPRS report is out. Economic Times tells us that there are 80 women out of 385 PGP students in the Class of 2015 although no mention of the exact number of students who participated in the process or the number of students who signed out was made in the press release. However, we expect detailed data on this in the IPRS report which is audited by CRISIL and we will update those stats here. In conclusion, IIM A showed once again why it is not only one of the best business schools in India but also in the world. Despite they not sharing data in the InsideIIM format we have to admit that their process transparency is unmatched in India. Feel inspired to contribute? Register and Write a Story now! Be part of a unique knowledge movement. With due respect to these statistics, its funny how Inside IIM looks so eager to put the crown on IIMA’s head! It not only exposes the superficiality of its articles but also the inherent bias it has towards certain schools! It would be worth Inside IIM’s while to look at the statistics of other institutions, especially IIMB’s before claiming IIMA’s as the numero uno performance! To put my argument into perspective, the top 5 (just 5 (OMG!!) ) recruiters recruited 67 from IIMB ! Thanks for your feedback Tamojit. Throughout the story we have said that IIM A’s placements were ‘one of the best’, ‘probably the best’ in one of the sectors. No crown has been put on anyone’s head as far as placement performance goes. For transparency, we will definitely put the crown on IIM A’s head as few other schools have shown the openness to get salary figures audited. Well, with all due respect, your argument is invalid. The article says that 68 students got recruited by 7 firms, but these aren’t necessarily the top recruiters (They are the top recruiters in the sectors listed, not overall). Secondly, student to recruiter ratio isn’t necessarily the best criteria to evaluate a b-school or any college for that matter. Thirdly, why the urge to compare? A,B,C are all great b-schools. When we say ‘IIM A’s position at the Top’, it does not imply it is the only school at the Top. Few people can argue that IIM A as a school or its placements are not one of the best in the country. We have merely reiterated the fact. Also, we generally focus only on positives of a school’s placement report. Not a single of the 4 IIM B reports of the past say anything negative, slanderous or show any bias against IIM B. How do I get into IBS?